Take the first exclusive look at the brand new TT Isle of Man official game, created by Bigben and the studio Kylotonn. Bigben and Kylotonn have revealed the first images of TT Isle of Man, the official game of the most famous motorbike race of all time: the Isle of Man Tourist Trophy (TT). TT Isle of Man will be available in March 2018 on PlayStation®4, Xbox One and PC. The motorbike simulation has been developed by the studio Kylotonn Racing Games, racing game specialists known for their work on the WRC license. The TT Isle of Man is a legend for every motor biker, a race that has left no room for error for more than 100 years, with riders hurtling at over 300 km/h on village roads and having to negotiate more than 200 curves in 60km. You’ll get the chance to race the Isle of Man TT course like never before, picking your favourite racer to tackle every twist and turn of the iconic 37.7 mile circuit, and you won’t have to worry about the weather calling off your race! “The roads are perfect; I can really use my marks. That gives an incredible sensation of speed, in particular thanks to the sound of the wind. The gameplay is fantastic! This game is without a doubt one of the most impressive motorbike simulations I’ve ever played.” declared motorbike legend John McGuinness, who has taken part in the Isle of Man TT 73 times with 23 victories, and who has been working with Kylotonn to make the game as close to reality as possible. 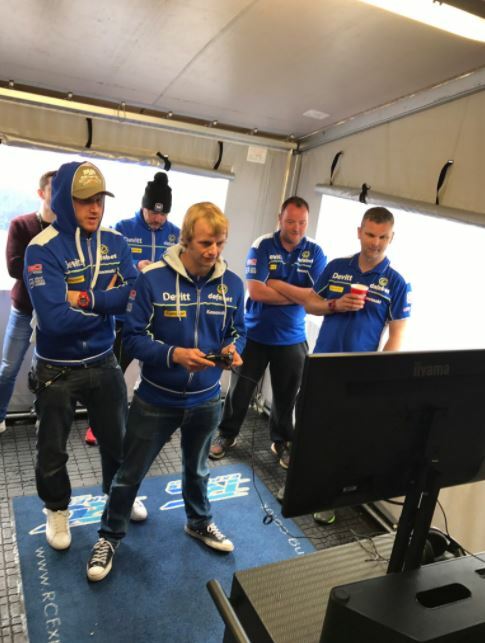 The Devitt team have already had the pleasure of playing the much anticipated TT Isle of Man game last week in the Dafabet Devitt Racing paddock during the TT race week, and we already know it’s going to be a big hit for racing lovers! Keep up-to-date with the TT Isle of Man game via their Facebook page.